Hi, I am Adelien, a mother of three awesome boys and a wife of a great husband. We are a home education family who live in Surabaya, Indonesia, where home education is still very rare. We just home educated our children “formally” for three years. You might visit us in Blessed Learners. During this time we can feel the good and the bad things coming up and down in our homeschooling life. There are times when I feel not strong enough and doubt our decision in homeschooling kids. Anyway, I believe that God love us so that we are still exist till now on. [Tweet “Vision and mission are very crucial parts in homeschooling.”] Vision means what we see our homeschool as. It is what we think how it should look like. According to Dictionary.com, mission means an important goal or purpose that is accompanied by strong conviction; a calling or vocation. We need to review the mission of our homeschool to get us back to our track. You might have never thought about having lists of homeschooling vision and mission when you start your homeschool formally at home. You might have ones in your thought. I would like to suggest you to have the written one of your homeschooling vision and mission to help yourselves reflect and evaluate what you have done. I believe that praying has a very strong spiritual power that won’t only save your homeschooling, but it will cure your life and others. It is the time when we communicate with God in any religion. We should ask and tell God what become our problem in any ways. The answer is usually magic as we cannot hear God speaks as human directly, but God will show us ways. When we communicate with God, we will find ourselves as little creatures in His eyes. I really believe that God will take care of us and our children. We sometimes don’t realize that we have been too exhausted. We might be too worry and to stressful without any consciousness. Everybody has got working limit. It might be not us as mothers, teachers, and parents, but our kids might be so bored, exhausted, and fed up. We need break time ultimately. you might retreat and do some more refreshing activities before you restart yourselves. Going to some fun places with kids, such as recreation park, zoo, etc in normal school days. Going to a retreat house to reflect yourselves. You might go with your husband to get quieter place to talk together. If you feel that kids can be involved, just go ahead. Otherwise, you might leave them with grandparents or send them somewhere that can get them relax too. Being involved in homeschooling communities will give us chance to have more support in any matters. The growth of social media equipped with ranges of homeschooling groups or communities will help us a lot to strengthen each other. Being involved in both virtual and real homeschooling communities help us to get refreshed in our homeschooling. I get a lot of ideas and inspiration from the communities We feel not alone in the communities and there might be others who are in the same or even worst condition than ours. If you haven’t been surrounded by communities, I just suggest you to go and be involved at once. Having a regular evaluation of how and what you have achieved will be very useful to think back or review what you have done. I blog about our achievement once in a month. The first time I jot down my mind, I always feel we just have a little achievement. However, as the writing is in progress, I just realize how useful my regular reflection is to confirm ourselves in this homeschooling track. We also talk together regularly what work, what don’t work, and what need improvement in our homeschooling. I often ask kids whether they feel fine to be homeschooled. Reading has in important place in my life. I started homeschooling after I read a lot of homeschooling books. When I got desperate, I try to re open the books again and again. Here are some of my favourite homeschooling books. They keep me refreshed in our homeschooling. I love learning from others and sometimes I saw things good from others. Unfortunately, those good things might not work for us and even sometimes it just makes us stressful. Therefore, I like reviewing our planning and rebuild it again. I try to kick away my fear in not following the plan. It is great to look back our vision and mission to redo our planning so that it is still on the track. Getting more flexible (but strict) will help us a lot to enjoy our homeschooling activities. It is wonderful to see what others are doing in their homeschooling as it will give us more motivation in doing so. All families are different in they manage our schooling time. Looking what others’ have will give us more inspiration and spirit. However, we should not try to always imitate or copy what others have done as it would make you more stressful. This point is different than just having a homeschooling communities. Talking with other homeschooling buddies means having personal chat sharing each other about what we have got and having personal “consultation”. It just will encourage each other. There isn’t any difference of newbie and veteran for me. Each has its own up and down side. I really appreciate all of my homeschooling buddies for all their time for listening to me. For those who has decided to finish their homeschooling track, I would like to say that this should be the best decision they can make for themselves. There is usually another option they have chosen. Anyway, it is good to review your final decision by thinking whether your final decision has solved your real problem in homeschooling. Of course we need to analyse what our purpose to burn out in-depth before we make decision. Is there any way to make a compromise? Well, when you finally decide to burn out, please don’t feel discouraged, inferior, and ashamed to meet other homeschoolers. Homeschooling is a choice and to finish it out is also a choice. Therefore, when non homeschoolers can respect homeschoolers, why doesn’t it happen on the other hand? Even when you return to homeschool again, that is also a choice. 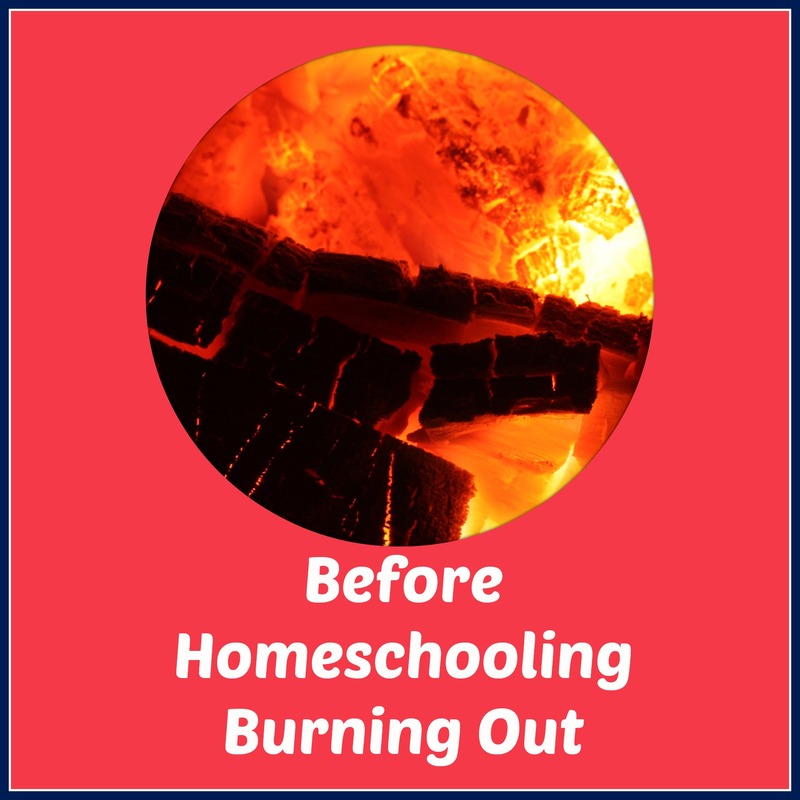 However, It is better to think deeper before we decide to either start or burn out our homeschooling so we can get much steady decision. Don’t forget to pray before you decide something as whatever your religion is, God will give ways.